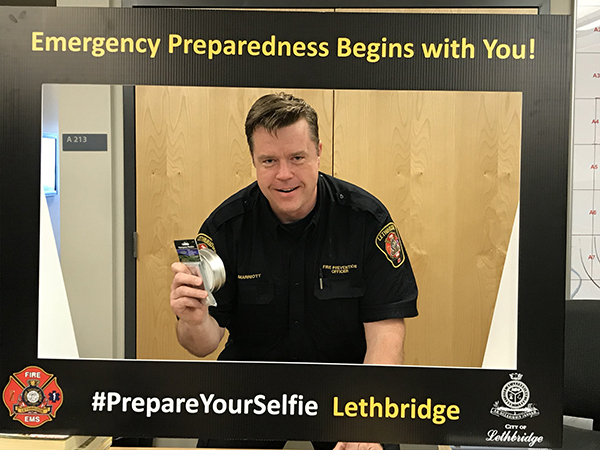 Join us on Friday May 11, 2018 in the Park Place Mall Atrium (where Santa sits) from noon until 6:00 pm to partake in our Emergency Preparedness Week open house! 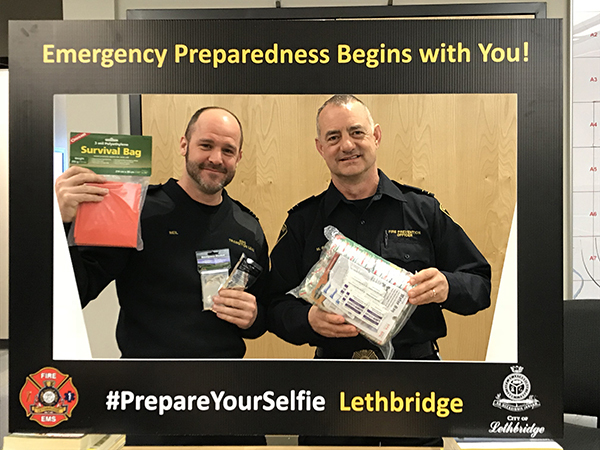 We will have a variety of response agencies and community partners there to answer your questions and provide you with some great preparedness materials! 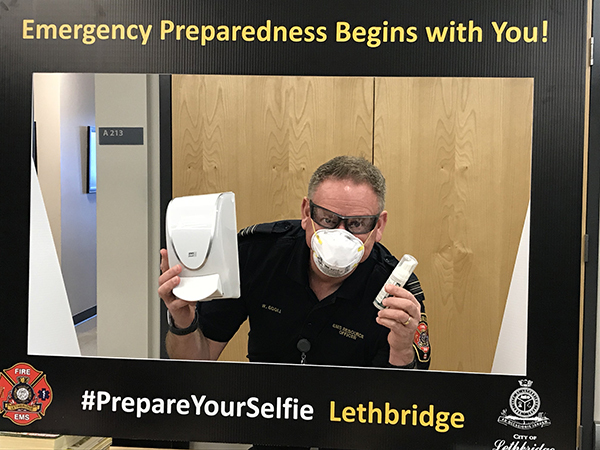 Emergency Preparedness Week (EP Week) is an annual event that takes place the first full week of May. This national event is coordinated by Public Safety Canada, in close collaboration with the provinces, territories and partners. This year’s theme is Be Emergency Ready. The campaign was aimed to help Canadians take action to protect themselves and their families during emergencies. Working together with community leaders, first responders, non-government organizations and all levels of government, we can build a more resilient and safer Canada. 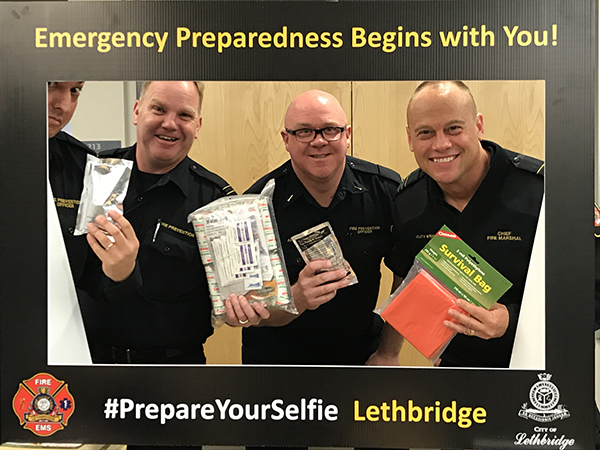 The #PrepareYourSelfie challenge encourages Albertans to prepare their emergency kits and post their photos on social media using the #PrepareYourSelfie hashtag. 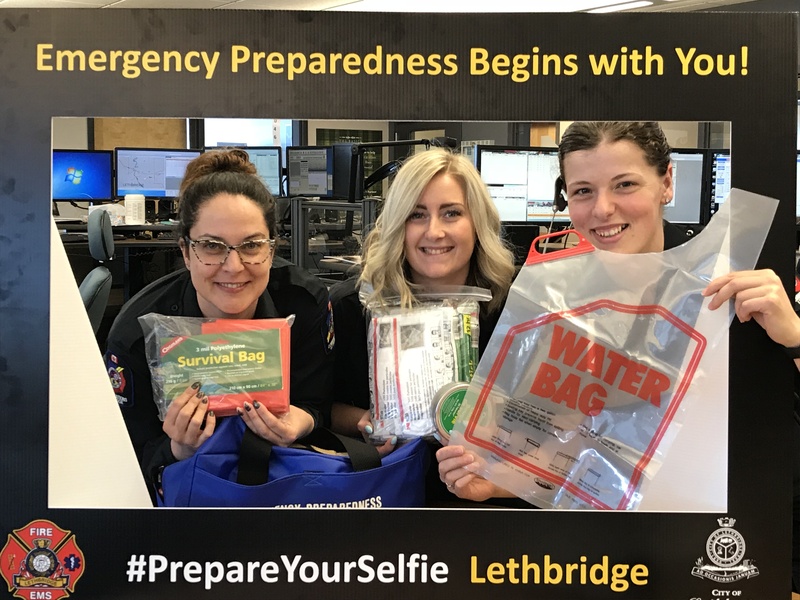 Join us during EP Week 2018 to raise awareness about getting prepared for disaster. 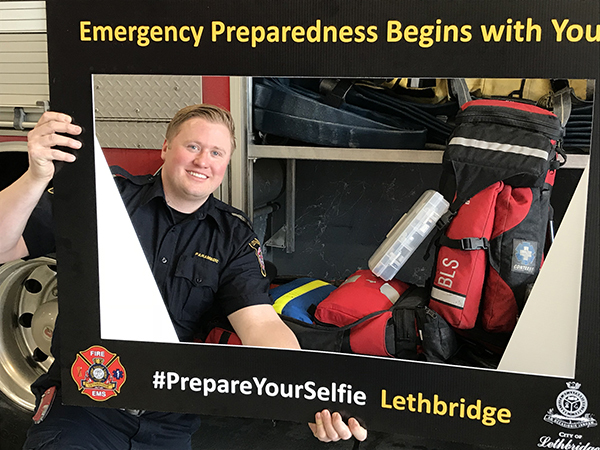 Let’s use the #PrepareYourSelfie challenge to create a conversation within our communities and beyond. Invite community leaders and local social media influencers to share the message. Challenge local businesses, neighboring communities and leaders near and far. 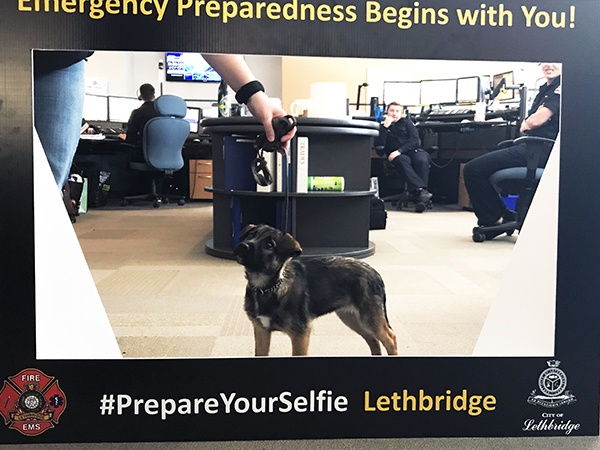 By working together we can raise the profile of personal preparedness and build resilient communities together. 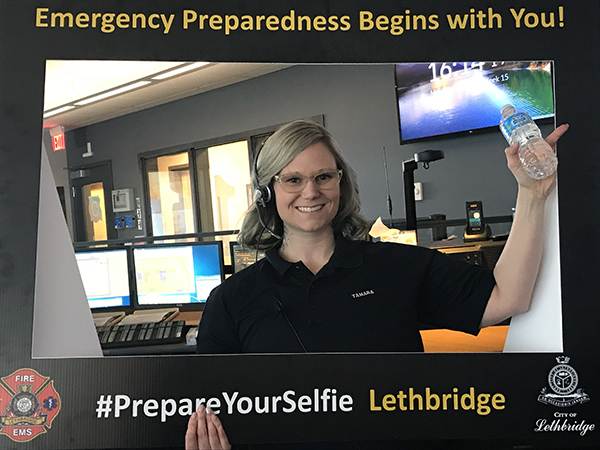 Keep checking in for updated Emergency Preparedness Week activities planned for Lethbridge May 6-12!